Pinot Noir has “huge” untapped potential to become one of UK’s leading still wines, a prominent English winemaker has claimed. Speaking to the drinks business earlier this month, Bolney Wine Estate’s managing director and lead winemaker Sam Linter said the variety had the potential to become the UK’s leading still red wine. Linter said the estate had recently held an “amazing” vertical tasting of its Pinot Noirs. English producers were only just beginning to make the most of the variety’s potential for still wines, she added, pointing out that Bolney Wine Estate, which specialises in still and red wine production, is set to increase production following its merger with neighbouring vineyard Pookchurch estate earlier this month. 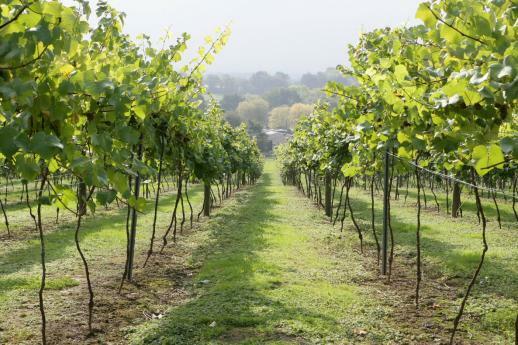 Db broke the news earlier this month that the Sussex wine estate was doubling in size after merging with the 67-acre Pookchurch estate in Cuckfield, Sussex. The newly enlarged Bolney Wine Estate will see 104 acres planted with Pinot Noir, Pinot Gris, Bacchus, Pinot Meunuier and Chardonnay which will support the estate’s expansion ambitious plans to ramp up production, Linter told db. 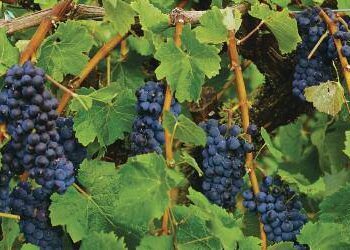 Pinot Noir is not the only grape that producers are keen to see increase in the UK. James Lambert, director of The Lyme Bay Winery, has previously argued that there will be a “new wave” concentrating on still wine in the UK over the next ten years. He told Fine Food Digest magazine in 2015 that the “problem” of sparkling wines, which has proved highly successful for the UK, was that it was a luxury and therefore higher-priced product that was purchased less frequently than still wines. He argued that white wine variety Bacchus, which is now the fourth most planted grape in the UK, after the three sparkling varieties, Pinot Noir, Chardonnay and Pinot Meunier and accounts for around 5.6% of the UK’s vines in 2018, had the most exciting potential to become English flagship still wine. 2018 saw a bumper year for English and Welsh wine, with record volumes of grapes harvested the board, and expectation that around 18 million bottles of wine would be produced. For db’s round up of other still wines flying the flag for the UK, see here. In our own modest, regional and on-trade only way, we are trying to push the English (wine) peanut forward. Although not listed in our 2018 portfolio (visible online if you search for it) we listed and sold some of our first ever English red. A Pinot Noir (early) from 16 Ridges. It will be in our 2019 portfolio, plus a trio of other new English wines, selected for our new list. Onwards!